Designate a major field of study. Arrange for previous college or colleges to send official transcript or transcripts directly to the DCTC Office of Admissions. Official transcripts must be received in a sealed envelope. Hand delivered transcripts must arrive unopened with the official seal intact. Student copies and faxed transcripts are not considered official. Contact Colleen Moser at colleen.moser@dctc.edu for an unofficial review of general education courses. Official transcripts are not necessary for an unofficial review, but will be required for final verification and transcription of transfer credits. Transfer coursework will be evaluated according to the standards in accordance with policies established by the Board of Trustees of the Minnesota State Undergraduate Credit Transfer (Minnesota State Policy 3.21). EMnTC courses with a grade of D or better are eligible for transfer into DCTC. Such courses transfer according to the MnTC goal areas designated for them by the sending institutions. Completion of the entire goal at another Minnesota State institution completes the goal at DCTC. Per Minnesota State policy, a combined cumulative GPA (for both DCTC and transfer courses) of 2.0 or higher is required in order for DCTC verify completion of the Minnesota Transfer Curriculum. Transfer of technical credits will be considered for courses that have been completed within five years prior to application for admission to DCTC. Students with technical courses that were completed more than five years prior to application may be able to use the credit by examination process to demonstrate course content mastery and receive credit. Please, see an enrollment or faculty advisor to review past technical credits. Coursework will be considered on a course-by-course basis through a petition process and will be judged comparable or equivalent to courses offered at DCTC. 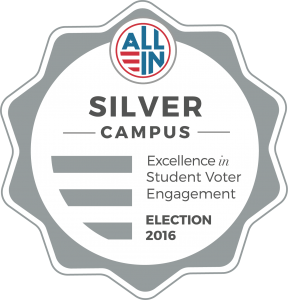 Please, see an enrollment advisor in Enrollment Services to start the petition process. NOTE: Courses from nationally accredited institutions that are accepted to fulfill degree or MnTC requirements at DCTC do NOT guarantee seamless transfer. Per Minnesota State policy, each Minnesota State college or university shall determine the acceptance of course(s) from a higher education institution that is not regionally accredited. A member organization of the National Association of Credential Evaluation Services must conduct a comprehensive, course-by-course analysis before DCTC can evaluate transfer of international credits. Credit achieved through military training will be considered for transfer according to ACE's Military Guide and evaluated for transfer. 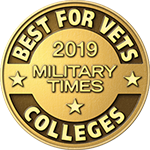 Veterans Education Transfer System (VETS) is an online application that helps past, present and future servicemen and servicewomen determine how their military training can count for credit at Minnesota State institutions. The Defense Activity for Non-Traditional Education Support program sponsors a wide range of examination programs to assist military personnel in meeting their educational goals. DANTES and DSST exam scores that meet ACE minimum score recommendations are considered for transfer. Visit getcollegecredit.com for more information. The Advanced Placement program is administered by the College Entrance Examination Board through which high school students complete designated college level courses in high schools and earn college credit by demonstrating a specified level of performance on AP exams. Students must have their official AP score report sent directly from the College Entrance Examination Board to DCTC's Admissions Office. An AP exam score of 3 or higher on a 5 point scale will be considered for transfer. A complete list of AP exams and how they transfer to DCTC is available through Transferology. The College Level Examination Program is administered by the College Entrance Examination Board which students of any age have the opportunity to demonstrate college level achievement through a program of exams in undergraduate college courses. Students must have their official CLEP score report sent directly to DCTC's Admissions Office. A CLEP exam score of 50 percent or higher will be considered for transfer. A list of CLEP exams and how they transfer to DCTC is available through Transferology. The International Baccalaureate Organization's (IBO) Diploma Program (DP) is a course of study for students age 16 to 19 that leads to examinations in various subjects. Students who participate in the full Diploma Program are required to study and take examinations in six different academic subjects. Exams with a score of 30 or higher and higher level exams with a score of 4 or higher will be considered for transfer. Tech Prep is accepted per written agreements with each high school. Students must complete the course with a grade of B or higher. The relevant high school teacher will then request certificates for each student who qualifies. When registering for college, students should will present their certificates to the registrar to request credit for the selected course or courses. Certificates must be used within two years of high school graduation. Transfer of credit will be considered for college level coursework completed at accredited institutions. Courses approved for transfer must be required by DCTC in the student's major. Courses must be comparable in nature, content and level while matching at least 75 percent of DCTC course content and goals. Students may be asked to provide additional information such as course syllabus, course description, reading list and so forth to determine course comparability. Transfer credits need to have a grade of C- or higher to be considered for transfer. Minnesota Transfer Curriculum (MnTC) courses are an exception to this policy. See the "Transfer of MnTC Courses" section above. Transfer credits do not affect the student's grade point average (GPA) on DCTC transcript. The number of credits accepted will be recorded on the transcript and the specific DCTC course equivalencies will be recorded on the Degree Audit Report (DARS). Students dismissed from another institution for academic or disciplinary reasons will be given consideration for admission only after review. Students suspended from another institution will be eligible to enter DCTC after waiting one semester. DCTC follows Minnesota State Policy 3.21 on undergraduate course credit transfer. Please read Minnesota State Policy 3.39 to ensure an understanding of your rights and responsibilities that relate to transferring credits to DCTC. The student may appeal the college's transfer appeal decision at the system level to the Vice Chancellor of Academic and Student Affairs. The decision of the Vice Chancellor shall be binding on all system college and university parties. MN Transfer.org Your official guide to a seamless transfer experience in Minnesota Higher Education. Looking for information on how to transfer from DCTC to another college or university? Visit the Transfer from DCTC page.